Whether you want to discover a new skill, taste a new flavor, laugh till it hurts, or just relax and refresh. However you choose, you will find it on this cruise. Princess is very organized and made getting on the ship very easy without any hassle. We were on the ship in no time at all! Unfortunately, due to the inclement weather (rain) the sail away party was moved indoors. It was "ok" but not as much fun. No fault of Princess, just mother nature! We were able to enter our rooms at 1pm and our luggage arrived in front of our cabins without any issues. After a few hours of settling in and exploring the ship, it was close to dinner time. We were assigned to the Coral Dining Room. We chose traditional dining, the early seating so that we could go to the early shows. The food was very good and our wait staff, Richard and Alex were both outstanding! They went above and beyond for us and they greeted us with a smile every day! Later that evening, they had the Welcome Aboard The Caribbean Mixer - which at that time we met our Cruise Director Micca and his staff. Micca was an absolute delight throughout the cruise! Very upbeat and again always with a smile and very funny too! The music in the Piazza was performed by the phenomenal band Xcite! Tonight was Captains Night, also known as Formal Night. Everyone looked great and it was a great opportunity to have professional photos taken. A great way to create precious memories! 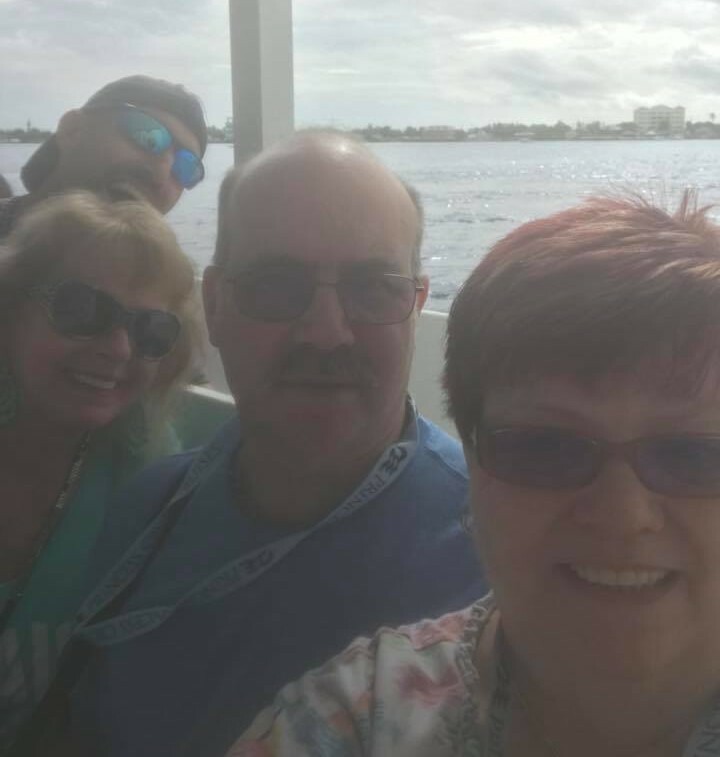 Day 3 - We're visiting the port of Grand Cayman! We took the water taxi over to the island then took the Trolley Roger Train Scenic Tour of George Town. We hopped aboard the Grand Cayman's famed open-air trolley for a fun look around George Town. Along the way, we drove past the city's highlights, and heard the tales of Grand Cayman's rich history including it's nefarious pirate past and rumors of hidden loot. We took a tour all through the streets of George Town and all through the city's financial district, past many of the 600 banks adjacent to some of Grand Cayman's oldest buildings, as well as the Central Park area. We continued through a beautiful residential area of South Sound, home to colorful Caymanian houses nestled among tropical flowers and beautiful trees. Before returning to the pier, there is an opportunity for sightseeing on your own as well as some shopping. Day 4 - We enjoyed our day in Roatan, Honduras / Mahogany Bay. The weather was absolutely perfect and this island was so beautiful! The port had many options for shopping and you could take the chair lifts from the island over to the beach while enjoying the breathtaking views of the island. Day 5 - We stopped at Costa Maya (Mahahual) Mexico. This was our 3rd port of the cruise but I have to say this island was my absolute favorite! The beauty of this island was amazing and this port had great shops for gifts or momentos. I will be posting a separate blog on the individual islands and what they have to offer at a later date. Day 6 and our last port - Cozumel, Mexico. Been here three times and each time I discover something new! This time I discovered there are two ports! Both were beautiful! Last year, Cozumel was part of the itinerary we had on the Allure of The Seas. This time the Caribbean Princess docked at at a different port. We were not sure we were going to get the chance to visit Cozumel due to the rain earlier in the morning, however it cleared up beautifully later that afternoon. We enjoyed listening to the Mariachi Band as well as other musicians on the island. Shopping is always available and beaches to relax and cool off. We were docked from Cozumel from 7:00 am to 9:00 pm which gave everyone time to experience this beautiful island! Day 7 - Disembarkation Day - The day went very smoothly. Princess Cruises are very organized. I was sad to go, but this will not be my last Princess Cruise. I look forward to sailing with Princess again in the near future! 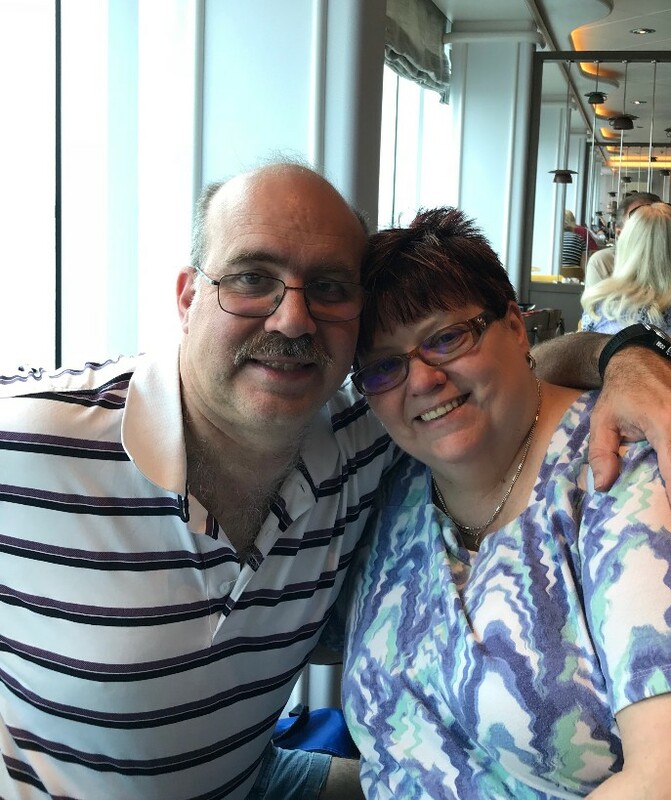 Ship - Princess did a great job on refurbishing the Caribbean Princess in March of 2017. The Piazza was very beautiful, but they should make it bigger. There are daily activities as well as entertainment going on throughout the day and it would be better if their was more seating for people to sit and enjoy what's going on or just to sit and relax and enjoy the beauty of the Piazza. It's very elegant! Accommodations - We had a balcony cabin and it was very nice, and very clean. The beds were very comfortable and the balcony was very enjoyable. Every morning we enjoyed our coffee and the sound of the ocean. It was so relaxing! Dining - Our dining experience was very good! The food was good and we especially enjoyed lobster night! Our waitstaff Richard and Alex were absolutely wonderful! We truly enjoyed seeing them every evening. Bravo - It was good, but not everyone likes opera. You just have to have an open mind and appreciate the talent and skill it takes to sing opera. It's not easy! Comic - Rollin' Jay Moore - He was absolutely fabulous! He made us laugh from throughout his entire performance! Worth seeing! Vocal Impressionist - Paul Boland - Amazing! Another "must see" performance! 50's & 60's Rock & Roll Night - Performed by the fantastic band Xcite! The Lounge was totally packed and everyone was rockin'! Don't miss this show! London Calling - Fabulous duo who performs a variety of music. Very enjoyable!! Piano & Vocal Entertainer - Mr. A.J. Clarke - The description "entertainer" is definitely an understatement! He was the absolute highlight of our cruise! He's a compozer, writer, arranger, phenomenal musician and vocalist and his talent is limitless! Princess Cruises has a gem in A.J. Clarke and they're lucky to have him. Definitely, a MUST SEE ACT! Booking well in advance for Holiday Travel is a wise idea, but experts say that you don’t have to make your plans as early as you might think to get big savings. A Conde Nast Travel article by Katherine LaGrave notes data from travel search engine Skyscanner that indicates booking closer may net bigger savings. 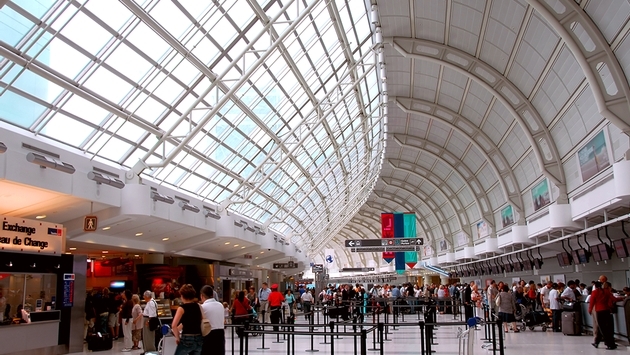 “The highest savings for U.S. holiday travel are available no more than four weeks prior to Thanksgiving, Christmas, and New Year’s,” notes LaGrave. For Thanksgiving, try booking around Oct. 17. “Skyscanner found that October has the best opportunities for savings, with the week of October 17 offering savings of 5.10 percent and four weeks out,” writes LaGrave. At Christmas, you will need to book around Thanksgiving. “Historical data revealed that the best time to book Christmas travel is when you're packing for...Thanksgiving travel,” LaGrave recommends based on Skyscanner data. Big savings for New Year’s come the first week of December. “Book New Year's travel the week of December 5, and you could see savings of 10.57 percent,” she suggests. Mapping out a Caribbean cruise itinerary – and selecting how to spend your time ashore – can be overwhelming. After all, beyond breathtaking beaches and scenic trails, the Caribbean's diverse isles offer an array of port activities and shore excursions you can – and should – partake in if you have time to spare. You can book shore excursions directly with your cruise line, through a reputable tour outfitter or explore on your own. Still, some of the Caribbean Cruises are more popular than others, and for good reason. Here are five Caribbean excursions and daytrips you should try at least once in your lifetime. Grand Cayman - Imagine enjoying a relaxing boat ride along the shores of the Cayman Islands. When the boat stops over a sand bar, however, your boat is surrounded quickly by giant stingrays. This is exactly how a visit Stingray City in the Cayman Islands plays out. Because the stingrays are used to being fed, they happily greet visitors. If you venture off your boat and onto the soft sand below, they'll gladly swim around you and underneath you – and even let you hold them. The best part about Stingray City is that these creatures are absolutely wild. So unlike a visit to a SeaWorld Adventure Park, you don't have to feel guilty about enjoying the company of these amazing creatures. Trips out to Stingray City start at around $30 from Grand Cayman, but you can pay more for a private or semi-private boat tour. St. Maarten - St. Maarten's Princess Juliana International Airport hangs on a stretch of land right next to the open ocean, yet a thin strip of beach stands between the short runway and the surrounding turquoise waters. Every year, thousands of people flock to this beach to watch enormous planes take off and land. And if you position yourself against the fence near Runway 10, you can feel the engine power push you toward the beach. Best of all, the experience is absolutely free. And if you need a place to rest while you watch, the bars adjacent to the airport offer prime viewing locations and cold drinks. St. John, U.S. Virgin Islands - St. John offers a wide range of lodging options, with a mix of high-end and budget-friendly resorts. Still, thanks to the island's convenient location and proximity to other Caribbean isles, St. John makes for a great daytrip, whether you're arriving on the car barge from St. Thomas or taking a private boat. Trunk Bay in St. John offers turquoise waters and world-renowned sands. Consistently named one of the most beautiful places in the world, Trunk Bay is worth a trip all on its own. A variety of reputable tour operators offer daytrips to St. John, but f you want to explore on your own and take the car barge from St. Thomas to St. John, expect to pay around $50 round-trip. Belize - Certain times of the year – most notably, June through September – intrepid travelers can experience up-close encounters with whale sharks. Most whale shark swimming excursions depart from the Riviera Maya near Cancun, but you can also partake in this expedition from Belize. This once-in-a-lifetime excursion typically costs around $200 per person, but affords the chance to swim along the giant animal and watch it feed on plankton. And after all, how often do you get to see an animal of mythic proportions in its natural ocean habitat? St. Thomas, U.S. Virgin Islands - St. Thomas is well known for it's inspiring island scenery and fascinating wildlife. In nearby Turtle Cove, for example, you can swim alongside magical sea turtles. Watch these captivating creatures feed on the sea floor and effortlessly glide through the surf, all while keeping an eye out for other interesting aquatic life that could be nearby. If you want to tack on a few days to your cruise vacation, Bolongo Bay Beach Resort in St. Thomas offers guests an opportunity to book this excursion as part of their vacation package, though you can also book individual turtle watching excursions elsewhere. A half-day snorkel trip from Bolongo Bay Beach Resort starts at $75 for adults and $55 for children. While the Caribbean is known for its crystal clear waters, white-sand beaches and picturesque scenery, there are plenty of action-packed and they are worthwhile excursions to try. You just need to know where to look. Next time you're heading on a Caribbean cruise, consider a guided excursion to enjoy can't-miss sights and attractions across different isles. The Punta Cana tourism destination, situated in the Dominican Republic’s eastern region, tops the list of the ten most popular destinations in the Caribbean in 2016. The selection was made by TripAdvisor, one of the world’s most important travel websites. 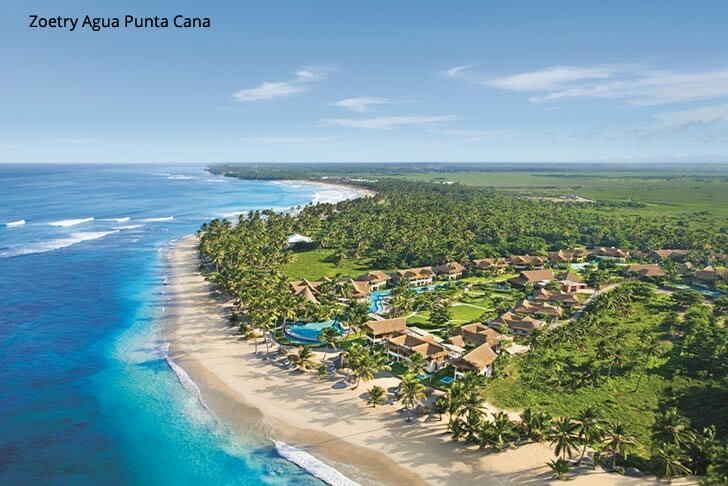 The website highlights that Punta Cana is one of the world’s top golf destinations and that it has become a top-class reference for the best in leisure vacations. 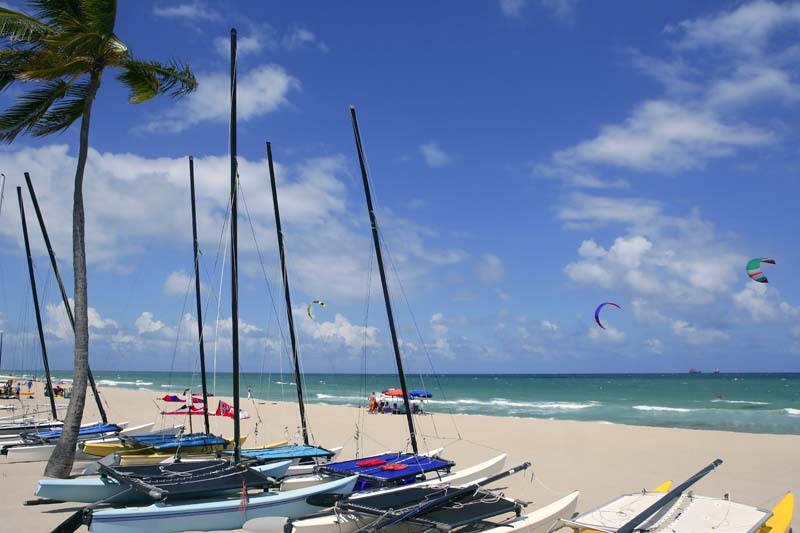 “The beaches are simply perfect: warm, calm waters that gently caress the softest white sand,” says the website. This is not the first time that Punta Cana is included on the list of the most popular Caribbean destinations. TripAdvisor is a popular international online travel website which issues its highly-rated Certificates of Excellence, awarded annually at the Travellers’ Choice awards.